Darlene that is just beautiful. Thanks for the memory. Happy Easter to you and your family! Very great! Isn't Easter Fun! And rememberign how it was is just the icing on it! 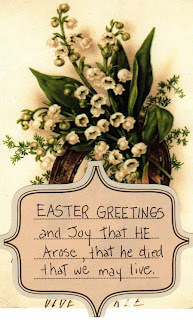 Easter is wonderful, enjoy yours!